Here in South Africa, and more specifically Kwazulu-Natal, we should celebrate with them. This event will take place from 10h00 - 15h30 on Saturday 20 August at the Picnic Area at Springside Nature Reserve. The published co-ordinates are for the picnic area. Please bring your own (m)eats and drinks, as well as half a bag of charcoal. Fire(s) should be ready at about 12h30. If you have camp chairs, please bring them as seating could be limited if we get the same crowd as last year. Folding tables would also be a good idea if you have one. If anyone would like to bring a salad, please advise what type of salad in your "Will Attend" log. This will avoid everyone bringing potato salad or baked beans. The event will end at about 15h30 - 16h00 (The SA v Argentina game is in Nelspruit at 17h00). 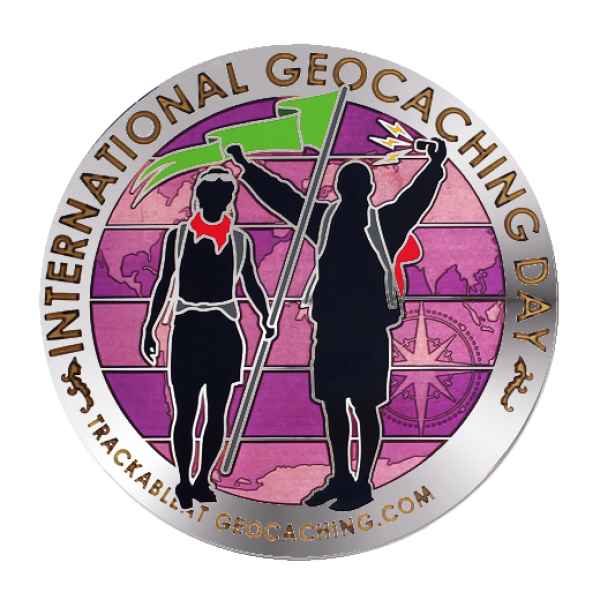 Groundspeak is producing a special souvenir for International Geocaching Day, and this souvenir will be given to all who find a cache or attend an event on this day. This event is open to all geocachers and their families, no matter how long you have been caching. A special invitation is extended to all newbies and also to visiting out of town geocachers. Please bring along your trackables for discovery.